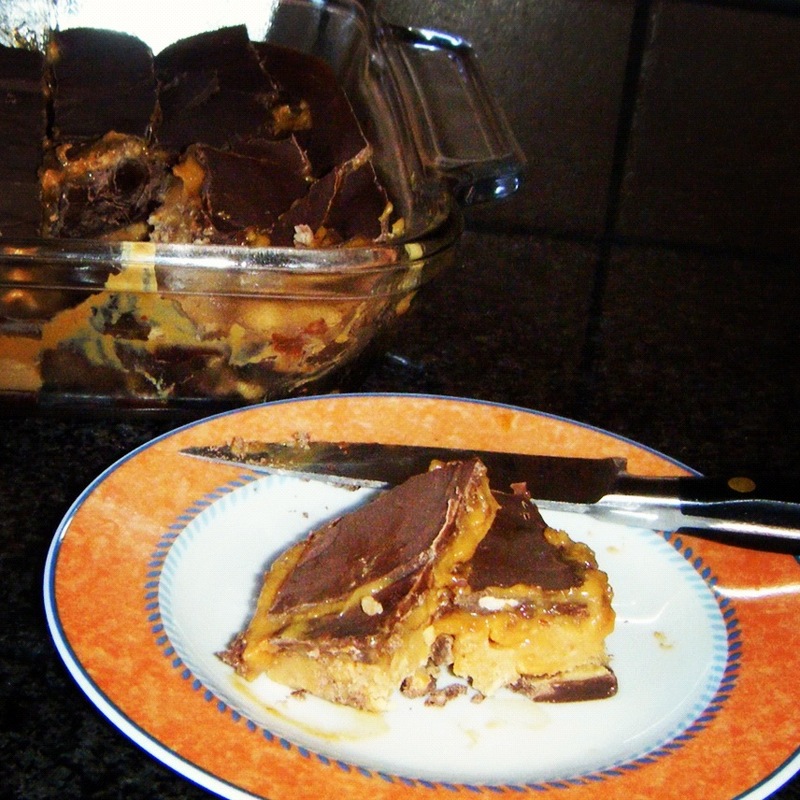 This was my attempt at How Sweet It Is Homemade Snickers Bars. A little bit of a messy fail, but it was a major learning curve, and it tasted good. I say it tasted good, but each time I went for a bite of it, I was expecting the middle bit to be biscuit, or some kind of caramel, but instead I got blasted with peanuttiness, because of the peanut butter. So that was disappointing but it was yummy. What I did struggle to understand was how she managed to keep her nougat white, when you’re supposed to add peanut butter to it… I could not comprehend brown + white = white?! There is an explanation for how to avoid this in the comments section below the recipe. I enjoyed making my own marshmallow fluff though, that was very delicious! It is such a shame that it isn’t readily available in all shops in South Africa, sigh. It was interesting to make because I didn’t want to use corn syrup for it, so had to improvise and discovered a substitute which was pretty much sugar and water. Another issue was the fact that “caramels” didn’t mean the right thing to me, so I used Nestle Caramel Treat instead. Which would explain why my caramel was so constantly runny. So at the end of it all, it was a delicious failure that I will perfect sometime in the future.